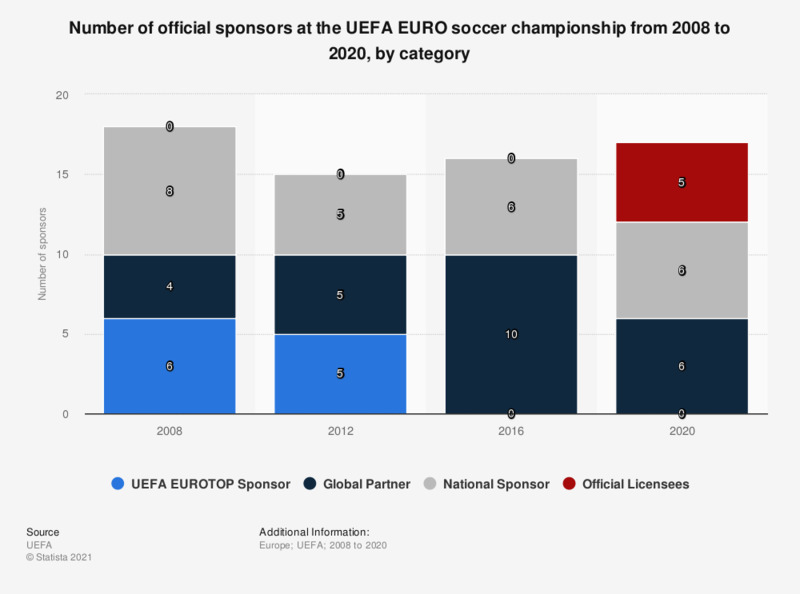 The statistic shows the number of official sponsors at the UEFA EURO soccer championship in 2008 and 2016, by category. At the 2012 EURO soccer championship in Poland and Ukraine there were five sponsors (Coca-Cola, Hyundai/KIA, McDonalds and adidas) in the UEFA EUROTOP category. How often do you engage in physical activities* such as cycling from one place to another, dancing, gardening etc. ?